Andrew has been announced as a Judge for the Drum’s Social Buzz Awards. The Drum’s The Social Buzz Awards, celebrate and reward the very best in social media communications in the UK. By rewarding effective social media campaigns and strategies, these awards give recognition to those who are using social media to communicate in exciting and innovative ways. Open to any individual, agency, company, brand or organisation, these awards are the perfect opportunity for you to prove that you are the best in your industry. 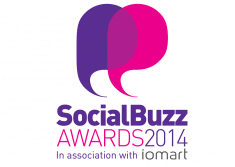 If you are at the forefront of social media, enter the 2014 Social Buzz Awards now. Download your entry pack to get started.